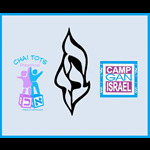 Become A Sponsor of the World's Largest Chanukah Festival! Sponsors gain exposure to millions who read about the festival on hundreds of websites and scores of printed media. Becoming a sponsor or co-sponsor of the Chanukah Festival is also a beautiful opportunity to honor or memorialize a loved one!